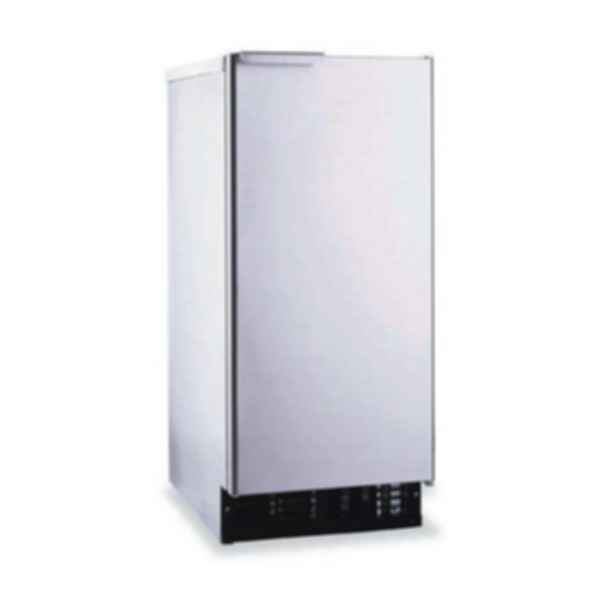 Hoshizaki Self-Contained Ice Machine with Built-In Storage Bin produces up to 51 lbs. of ice per 24 hour period. UL approved for outdoor use, this cuber makes individual top-hat style cubes eliminates clumping and allow for easy filling of glass. Up to 30 lbs. of built-in storage capacity.